The Golden Gloves is the heart of amateur boxing in the United States. 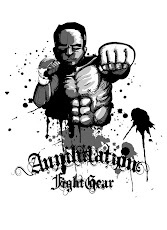 The National Golden Gloves tournament brings hungry amateur boxers from around the country to determine the national champion in each of the designated weight divisions. This year's tournament will be held in Indianapolis, Indiana from April 25-30, and will determine Olympic selections for the 2012 Summer Games. 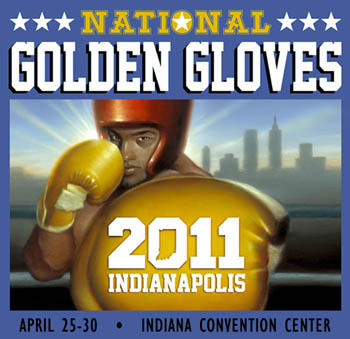 The 2011 National Tournament of Champions will be held in Indianapolis, Indiana from April 25th through 30th at the Indiana Convention Center. Hotel arrangements have been made with the new JW Marriott in downtown Indianapolis. 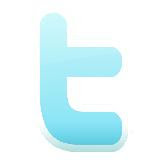 You can get more information about the JW Marriott by clicking here. There are many hotel options within walking distance of the Convention Center. Explore Indianapolis and learn more about hotels, restaurants, transportation and downtown activities by clicking here. We are expecting 341 participants and their trainers.... and will have in excess of 10,000 spectators throughout the week. It will be a very exciting week for boxing in Indianapolis.... and, this is the year to choose boxers to represent the United States for the next Olympic games.